Hi, Stamping Friends! I'm currently busy rebuilding some back end stuff on the blog after that period of neglect from moving and little boyhood. If you are signed up to follow me by email I believe that I've just successfully managed to moved everything over from the now defunct Feedburner to Feedblitz. I'd REALLY REALLY love it if anyone out there would drop me a comment below to let me know that they actually got this in email instead of on Blog Lovin' or something. Or if you aren't getting it via email, go sign up via the newly fixed (I hope) Follow Me By Email button and tell me that works again. 'Cause I'm a stamper, not a web designer. So I don't want to be all patting myself on the back and eating ice cream while the email feed still isn't working! Thanks, peeps! Since I didn't have art to share tonight (but I will tomorrow!) 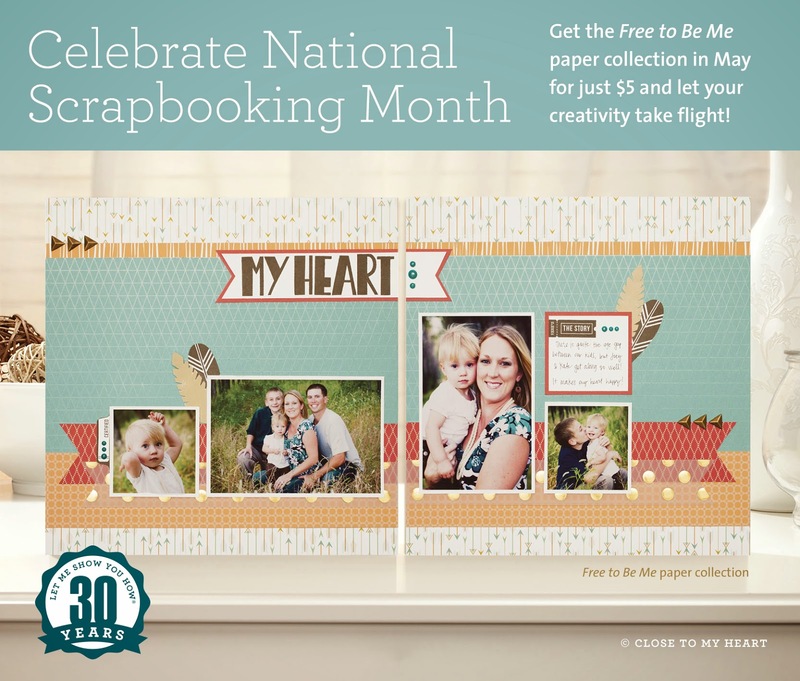 I wanted to remind you about this month's $5 scrapbooking kit that CTMH is offering just for the month of May - National Scrapbooking Month! Free To Be Me is a super cute collection with 6 exclusive B&T Duos, 2 sheets each UV coated (resist) CS in Teal, Red, and Gold, White Feather printed Vellum, And Gold Foil Polka Dot Vellum...all for just $5! 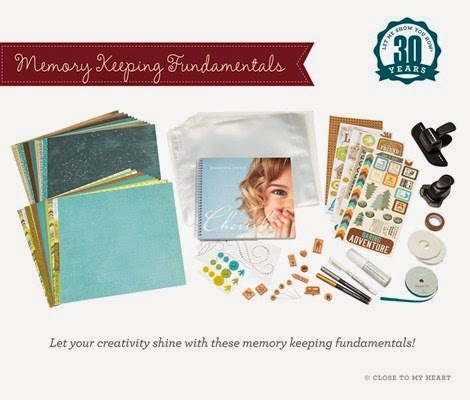 CTMH is also offering five awesome discounted bundles of products while supplies last. OK - enough whoo hoos for the sales this month. I'll be back tomorrow with 6 more scrapbook pages. Hugs (and I hope you can see this!)! Got your email, Wendy! Now to figure out how to do that myself...grrrrrr! I got your post in my email inbox! Whoopie! I also signed up to follow you on Bloglovin so will get two notices now!